The Meghalaya High Court on Thursday held invalid the state law providing for appointment of parliamentary secretaries in the state, but left it to the Governor to determine the disqualification. SHILLONG: The Meghalaya High Court on Thursday held invalid the state law providing for appointment of parliamentary secretaries in the state, but left it to the Governor to determine the disqualification of the post-holders from the assembly. 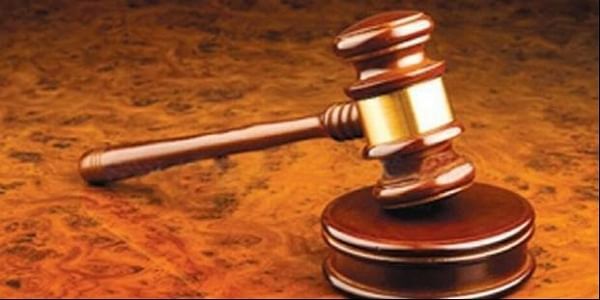 The verdict by a division bench of Chief Justice Dinesh Maheshwari and Justice Ved Prakash Vaish came on a PIL filed by state resident Madal Sumer, challenging the "extra-constitutional and illegal" appointment of Parliamentary Secretaries in the state. "The Meghalaya Parliamentary Secretaries (Appointment, Salaries, Allowances and Miscellaneous Provisions) Act, 2005 is held invalid for want of legislative competence of the state Legislature and is, therefore, struck down. "As a necessary corollary, the notifications appointing the Parliamentary Secretaries and other follow-up actions are declared void, for having been issued and carried out under an invalid enactment," it said, adding that the challenge to the validity of the 2005 Act has to succeed in view of the law declared by the Supreme Court in Bimolangshu Roy's case. Hours after the verdict, 17 Parliamentary Secretaries quit their post. "This law has been enacted based on this mandate of the provisions of the Constitution by which we can prevent the members of the august house from getting disqualified from holding an office of profit wherein law says such office will be deemed as not as office of profit," Sangma told journalists. On July 26, the Supreme Court had declared as unconstitutional a law enacted by Assam in 2004 that allowed the appointment of Parliamentary Secretaries in the rank of Minister of State. An apex court bench of Justice J. Chelameswar, Justice R.K. Agrawal and Justice A.M. Sapre struck down the Assam Parliamentary Secretaries (Appointment, Salaries, Allowances and Miscellaneous Provisions) Act, 2004, noting that Article 194 of the Constitution "does not expressly authorise the state legislature to create offices such as the one in question". Citing the SC verdict, the High Court said: "This declaration of law by the Supreme Court, on want of legislative competence of the state Legislature, is binding on all the courts and obviously, if the said law is applicable to the present case, it shall have to be applied, irrespective of the pleadings of the parties." Leaving it open to the Governor to decide on the Parliamentary Secretaries' disqualification as assembly members, the bench said: "It is hardly a matter of any doubt that when a question arises as to whether a member of a House of the Legislature of the state has become subject to any of disqualifications mentioned in Article 191(1), the question has to be referred for the decision of Governor; and the decision of the Governor in this regard, on the basis of the opinion of Election Commission, is final." "We see no warrant for the proposition that such a reference would be made by this court," the bench said. Meanwhile, Sumer said that he would soon submit a representation to Governor Ganga Prasad seeking disqualification of all the legislators named in the PIL citing that as "they are no longer legislators for holding office of profit". He said that he would also appeal the Governor to dismiss the Congress-led Meghalaya United Alliance government as it has been "reduced to a minority with the disqualification of those legislators, who were appointed as parliamentary secretaries". He also demanded that the government should direct these legislators to return all the salary and perks from the date of their appointment for serving in the unconstitutional office as they stand disqualified from that date onwards. On March 12, 2013, Chief Minister Mukul Sangma had administered the oath of office to 18 Parliamentary Secretaries to assist 12 ministers after the Congress retained power following the Assembly elections. However, Independent legislator Lamboklang Mylliem resigned from the post on March 29 last year, citing legal grounds. Election to the 60-member assembly are scheduled to be held in February-March 2018.